No passport processing facility on Saturday , 07 January 2017 and Saturday, 07 January 2017. Directorate General of Immigration and Passport has informed that they are shifting their main passport servers/database to a new facility over the next two weekends i.e on Saturday , 07 January 2017 and Saturday, 14 January 2017. 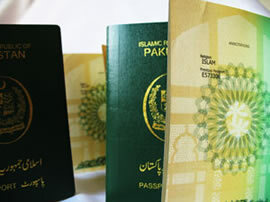 Therefore, processing of Machine Readable Passport in the Embassy of Pakistan, Paris will remain suspended for these two dates. However, collection of passport and all other Consular services will continue to remain available without any interruption. Any inconvenience to the members of the community is regretted.